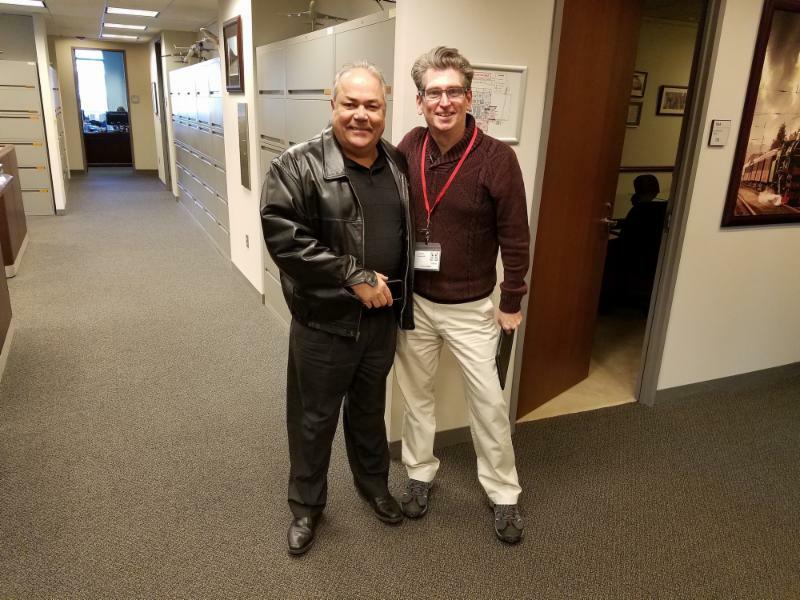 Transportation GVP Sito Pantoja, left, welcomes Delta Flight Attendant Bob Cannatelli, right, to IAM Headquarters. Delta Fight Attendant and IAM Activist Bob Cannatelli recently visited IAM Headquarters to make a video in support of the IAM-Delta Flight Attendant campaign. Bob eloquently spoke about a number of issues Delta Flight Attendants face daily, and why they need IAM union representation. Upon his arrival at headquarters, Bob was greeted by Transportation General Vice President Sito Pantoja who reaffirmed the IAM's full commitment to the IAM-Delta Flight Attendant campaign. In addition to shooting the video, Bob was given a tour of headquarters, visiting different departments and seeing firsthand the various resources the IAM has to offer.